Step off the beaten path and head to Stand-Up Paddleboarding and Spas & Wellness. We've included these beaches for you: Playa Avellana and Playa Conchal. To see ratings, traveler tips, reviews, and tourist information, you can read our Tamarindo custom trip planner. Montreal, Canada to Tamarindo is an approximately 15-hour flight. The time zone difference when traveling from Montreal to Tamarindo is minus 1 hour. Plan for warmer temperatures traveling from Montreal in January, with highs in Tamarindo at 38°C and lows at 25°C. Finish up your sightseeing early on the 1st (Wed) so you can go by car to Santa Teresa. Start off your visit on the 1st (Wed): kick back and relax at Playa Santa Teresa, look for gifts at Tica Surf Bikinis, and then admire the sheer force of Montezuma Falls. Get ready for a full day of sightseeing on the next day: soothe aching muscles at some of the top local wellness centers and then tour the pleasant surroundings at Playa Hermosa. To see reviews, where to stay, ratings, and more tourist information, use the Santa Teresa trip planner. Traveling by car from Tamarindo to Santa Teresa takes 3 hours. Alternatively, you can do a combination of bus and taxi. Wrap up your sightseeing on the 2nd (Thu) to allow time to travel to Jaco. You'll discover tucked-away gems like Zipline and Canyoning & Rappelling Tours. Get outdoors at Jaco Beach and Carara National Park. There's still lots to do: take a pleasant ride with a tour on horseback. To find where to stay, ratings, photos, and more tourist information, read Jaco trip itinerary planner. Traveling by combination of taxi and ferry from Santa Teresa to Jaco takes 1.5 hours. Alternatively, you can drive. Finish your sightseeing early on the 5th (Sun) so you can drive to Manuel Antonio National Park. Explore hidden gems such as Zipline and MidWorld Costa Rica. Step out of the city life by going to Parque Nacional Manuel Antonio and Villa Vanilla / Rainforest Spices. 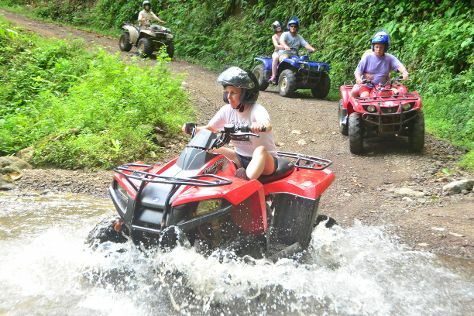 To see maps, traveler tips, where to stay, and more tourist information, refer to the Manuel Antonio National Park trip planner. Traveling by car from Jaco to Manuel Antonio National Park takes 1.5 hours. Alternatively, you can drive; or ride a ferry. In February, daily temperatures in Manuel Antonio National Park can reach 30°C, while at night they dip to 21°C. Finish your sightseeing early on the 9th (Thu) so you can drive to Monteverde. 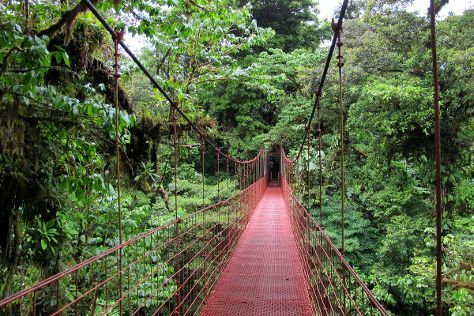 Visiting Curi Cancha Reserve and Monteverde Cloud Forest Biological Reserve will get you outdoors. You'll explore the less-touristy side of things at The Bat Jungle and Reserva Bosque Nuboso Santa Elena. For maps, photos, more things to do, and other tourist information, read our Monteverde travel itinerary creator. Traveling by car from Manuel Antonio National Park to Monteverde takes 4 hours. Alternatively, you can take a shuttle. Cap off your sightseeing on the 11th (Sat) early enough to go by car to La Fortuna de San Carlos. Eschew the tourist crowds and head to Arenal Volcano (Volcan Arenal) and Los Lagos Hot Springs. 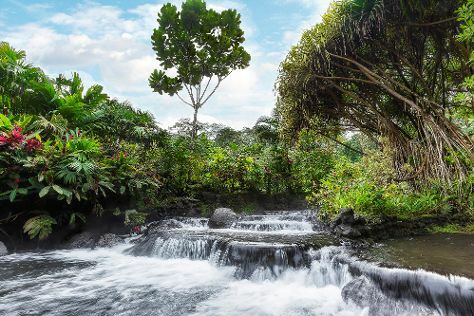 Get outdoors at Tabacon Hot Springs and Free Natural Hot Springs. To see other places to visit, maps, more things to do, and tourist information, read our La Fortuna de San Carlos itinerary planner. Drive from Monteverde to La Fortuna de San Carlos in 2 hours. Alternatively, you can drive. Finish your sightseeing early on the 15th (Wed) to allow enough time to travel back home.